Productivity Tutorials for Mac, iPad & iPhone from TheMacU.com! In this section you will find tutorials for Apps that help you get things done! Learn to use key Apps like Safari, Mail, Calendar & Contacts on both Mac and iOS. Within the Mini Tutorials collection are lessons on the Notes App, App Store, Maps, and Music. Click each icon to view more details and a free lesson. 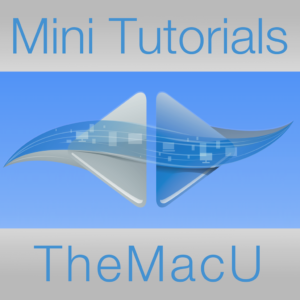 TheMacU Mini Tutorials provide lessons on a variety of Apps that don’t require their own dedicated tutorial. These will vary from just one to several lessons on each topic. In this tutorial we learn about importing media to your iTunes Library, organization, playback, sharing, using the iTunes Store, Apple Music and much more! Within this tutorial we discuss all the main features of Safari. See how to organize bookmarks in multiple locations, use tabs, enhance your privacy while browsing the web, block ads and more!! Learn all the main features of Safari for iOS. See how to navigate from site to site, organize bookmarks, use tabs, block ads, share web pages and more!! Learn how to view, manage and organize the events and people in your life utilizing features like Smart Groups, Shared Calendars and Location Based Reminders. See how to view, manage and organize all your email with features like markup, rules, signatures and more! See how to view, organize and send email with your iPhone, iPad or iPod Touch. 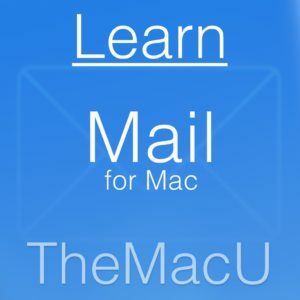 Learn to search your inbox, work with attachments, utilize custom mailboxes and much more! Learn to view, manage and organize the events and people in your life using these three key Apps built into every iOS device. We go through everything from creating new contacts and events to sharing calendars and creating location based reminders. In this tutorial see how to use Twitter on the Mac, iPad & iPhone! If you have never used Twitter but are curious about it or if you are already on Twitter but don’t fully understand how it works this tutorial is for you! New for 2018 and beyond! We cover all the basics of Pages along with a few more advanced features. Both the word processing and page layout abilities of Pages are discussed. Learn word processing and page layout with our Pages for Mac video tutorial! Over 2 hours of HD video tutorials on how to use all Aspects of Pages! 90 Minute video tutorial on how to use all Aspects of Numbers! Learn to add and edit tables, create formulas to do complex calculations, add charts and much more! Learn to add and edit slides, work with master slides and themes. Discover how to animate individual objects within a slide or from slide to slide using Magic Move! See how to use pages to build word processing and page layout documents on your iPad or iPhone! Learn to build websites visually with Sparkle for Mac in this video tutorial from TheMacU.com. With Sparkle you can layout a webpage with text and graphics just like your would a newsletter or flyer in Pages or Word.